The Veterans Advocacy Clinic provides representation to Tampa Bay area veterans appealing decisions denying Veterans Administration disability benefits. 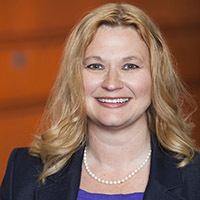 Associate Professor and Director of Clinical Education Christine Cerniglia and Professor Stacey-Rae Simcox oversee Stetson Law students providing free legal assistance to veterans. If you are a Tampa Bay area veteran who needs legal help with appealing a decision denying Veterans Administration disability benefits, you can apply for clinic services by submitting our Client Application Form (see below). Or, if you would like us to mail an application to you, please call 727-562-7324 and leave your full name, mailing address, and phone. Note: The Veterans Law Institute is unable to accept walk-ins, all applications for service must be made in writing. Your application will be reviewed and you will be notified whether the Veterans Advocacy Clinic can assist you. In February 2017, Stetson Law teamed with the C.W. Bill Young VA Medical Center, Bay Area Legal Services, and Gulfcoast Legal Services to form a medical-legal partnership (MLP). The MLP provides pro bono legal representation and consultation to veterans who receive care at the Bay Pines VA Healthcare System and may not otherwise be able to afford legal representation on civil law issues. 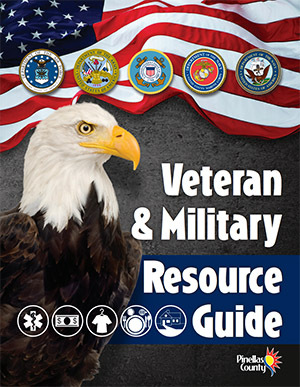 The Veteran and Military Resource Guide provides contact information for VA resources, community resources, and veterans service organizations available in Pinellas County, Florida. It is updated regularly and most recently on June 16, 2017. Stetson's Veterans Advocacy Clinic uses Prevail software to manage our cases.